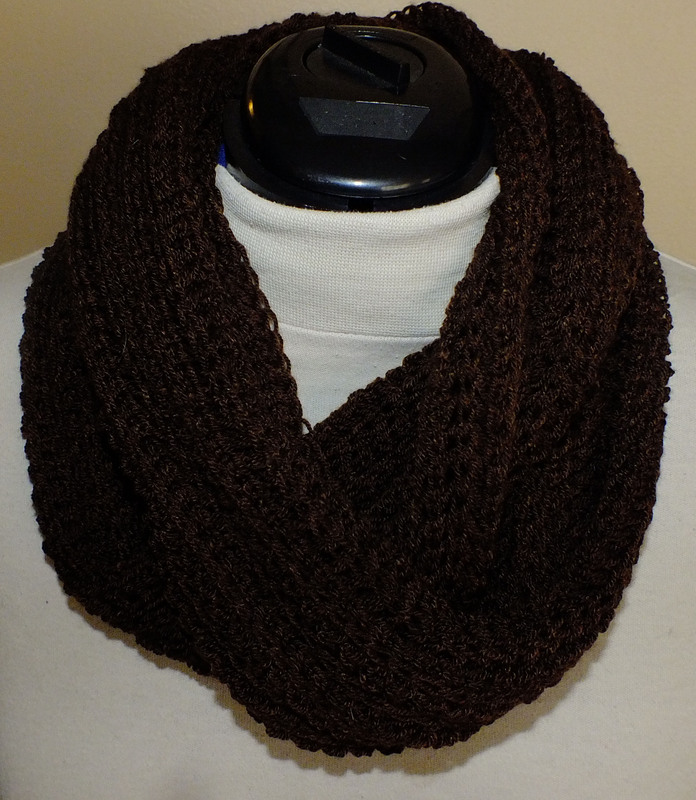 Do you have the correct link for the drop stitch scarf – all that show up are some Brother “trims”. Can you help? And yes I love the Wool-like. 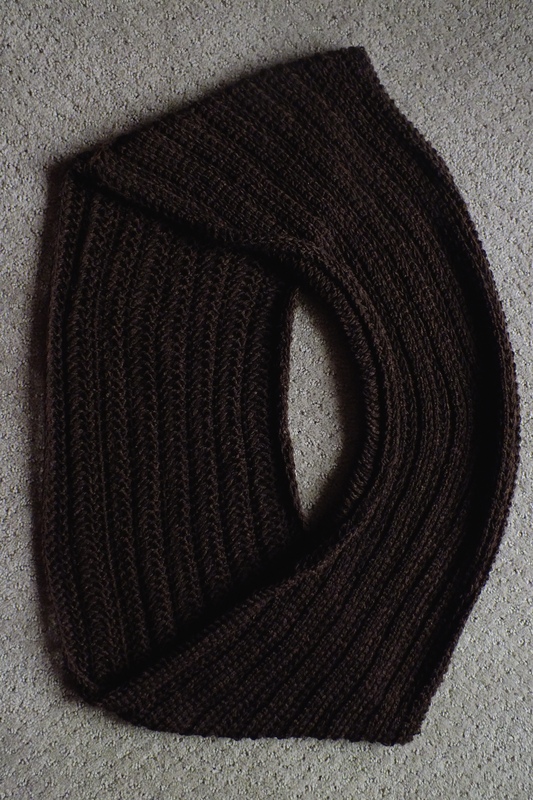 Do you have a pattern that would make a good prayer shawl. Machine knitting one would take a lot less time. Thank you Judy for telling me about the drop box link. I am having so much trouble trying to upload to WordPress. I can’t say I don’t have a pattern for a prayer shawl but it would take me forever to find it. 🙂 I don’t know what machine you have but I would just cast on some stitches and go through knitting 20 rows of different patterns. That is how I found this one for the cowl. Hi, the link worked fine for me, but maybe you fixed it already. I originally thought you did a double bed…but see it is single bed. Just one or both tuck buttons (for those of us that don’t have the electronic patterns !) ? That is pretty incredible about that yarn…and the price ! 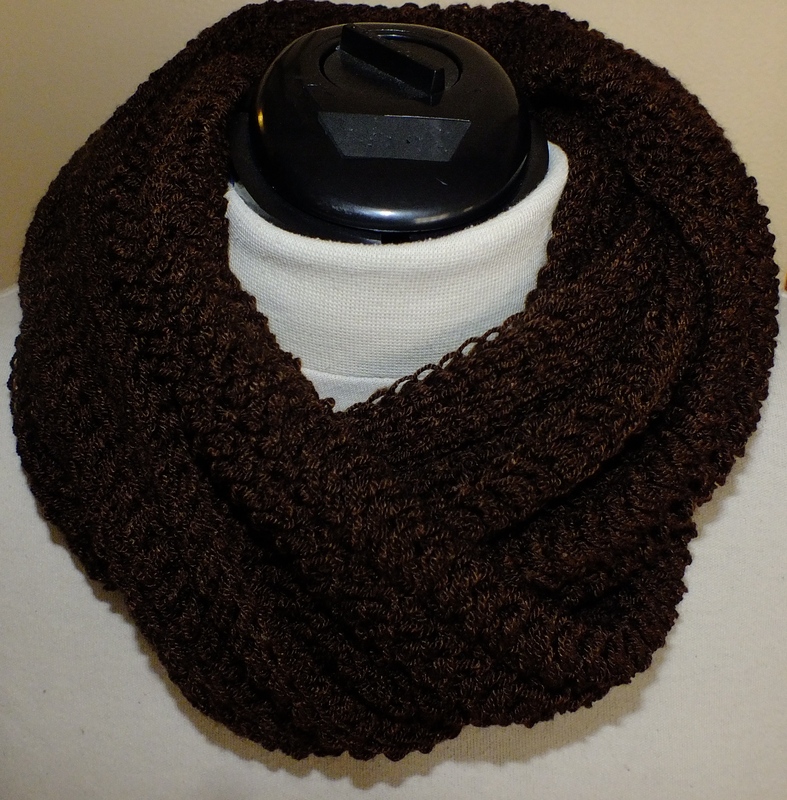 The yarn looks plush and the scarf is a definite winner. I really enjoyed working with Woollike on my standard gauge machine too. It’s nice to be able to get a suitable, non wool, yarn at Michaels’. I do wish though, that they carried a similar thin yarn in solid colours, that WAS wool/sock yarn. LOL. You just gave me the idea to try woolike on my sock machine! It has nylon in it that is good for wear. Maybe when sales start to pick up on that yarn, they might. I was tempted to write to them but of course, we know what would happen, the price will go up. I might just tell them that it sure targets machine knitters. can you tell me how many stitches you cast on for this scarf?